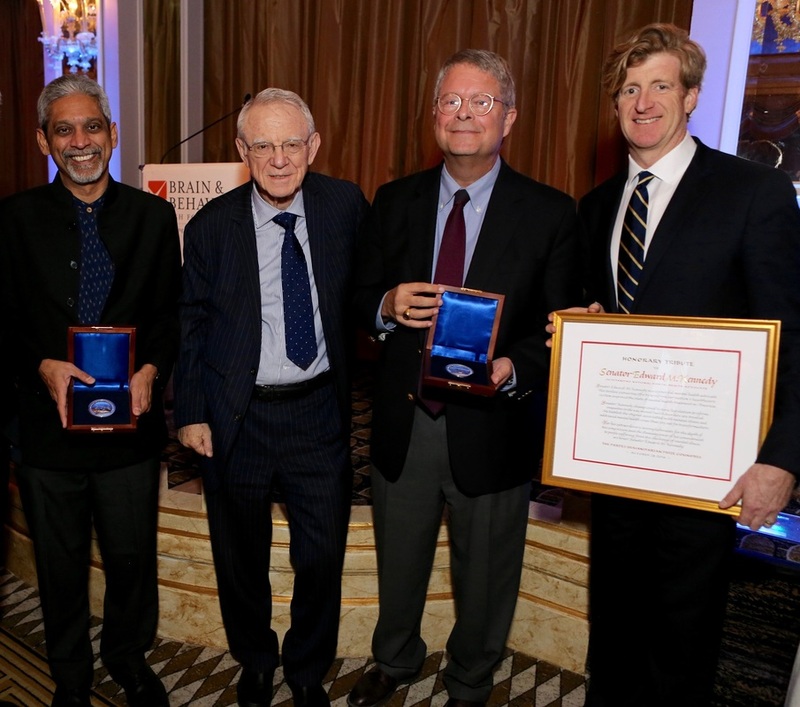 The 2016 Pardes Humanitarian Prize in Mental Health was presented to Dr. Vikram Patel of India, and Dr. Charles F. Reynolds, III of the United States at the Brain & Behavior Research Foundation International Awards Dinner, on Friday, October 28, at The Pierre in Manhattan. Dr. Patel received the Pardes Prize for advancing mental health in the developing world. Dr.
Reynolds received the Pardes Prize for breakthroughs in the prevention and treatment of depression. The late Senator Edward M. Kennedy received an honorary tribute for his legacy of mental health advocacy. His son, Patrick Kennedy, author of the book “A Common Struggle” accepted the award on his behalf.